We are really excited that Ribbet Ribbet Croak is being supported using public funding by the National Lottery through Arts Council England. You can find out more about Arts Council England on their website here. For 2019 Ribbet Ribbet Croak tour dates, click here. Our style is predominantly devised and physical, incorporating elements from other art forms, including puppetry, books and music. As an ensemble of three, we aim to utilise our collective skills and talents to create exciting, intriguing and thought provoking theatre that challenges and encourages discussion within our audience, as well as being an enjoyable experience. Have a read of our blog for all the latest Moulded news. 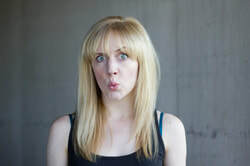 Emily is a theatre director, workshop facilitator and freelance writer, who has worked for the Pleasance Theatre, Chichester Festival Theatre, Trestle and Proteus and now with Jacksons Lane and Arcola Theatre. Whilst studying for her MA Theatre Directing, Emily worked at Stratford Circus and with Theatre Venture on The Carbon Footprint Detective Agency, which toured to schools in Newham and Hackney, and also with Brolly Productions on the inaugural adaptation of Anna Perera’s novel Guantanamo Boy. Emily graduated from the University of Lincoln in 2008 with a Drama BA (Hons). She was a founder member of the Lincoln School of Performing Arts Theatre Company and the company’s inaugural Edinburgh Fringe Festival Season (2008). Emily adds a musical dimension to Moulded with her violin and harp - creating sound effects for productions and workshops. 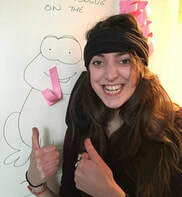 Natalie is a performer, writer and workshop facilitator, who graduated from the University of Chichester in 2008 with a degree in Performing Arts. Since then, she has worked as a creative associate of Bootworks Theatre and toured the UK and internationally with productions including Une Boite Andalouse, Little Box of Horrors and The Incredible Book Eating Boy. Natalie has also had the opportunity to collaborate with Look Left Look Right documentary-theatre company and their performance of You Once Said Yes and Forest Forge; a Hampshire-based theatre company. As well as doing a spot of globe-trotting, Natalie has also worked as Marketing Assistant at Beaulieu Enterprises Ltd and works as a freelance artist, facilitating performance, writing and street dance workshops around the South East and London. 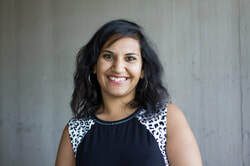 ​Soniya graduated from the University of Essex in 2008 with a BA(Hons) in Drama, and has been involved in both stand up comedy and children’s theatre, as well as circus and performance art ever since. Performing in Professor Vanessa’s Wondershow at Circusfest 2012 at The Roundhouse Theatre, as well as alongside The Invisible Circus at Bestival 2012 led her into becoming .a key member of Marawa’s Majorettes; performing with them at The Kings Cross Olympic torch handover, on the Olympic Park, in Selfridges shoe department, Kate Nash’s album launch party, Shoreditch Town Hall, the Geffrye Museum and Jacksons Lane Theatre to name but a few. ​​Carly is a Graphic Designer currently working and living in beautiful Bournemouth. Whilst working full-time for a design agency, she continues her love for all things creative as a successful freelancer. 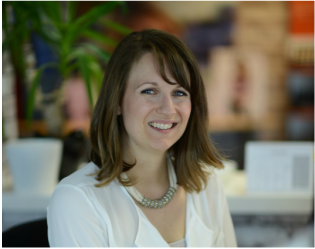 Carly’s particular passion is branding and identity, partnering with clients, placing an emphasis on the working relationship to really deliver an identity or project that achieves what it needs to and more. ​click on the ITC logo.